Lavender is a plant that needs no introduction. It is probably the most soothing scent a person can ever experience. It can help soothe the mind and spirit. Today, lavender is the most used oil in the world. Ancient texts tell us that lavender oil (روغناسطخودوس) has been used for medicinal and religious purposes for over 2,500 years. Lavender is sometimes used as a home remedy for skin inflammation and burns. Following are the various ways lavender oil can benefit your skin, hair, and health. Lavender oil is one of those few natural ingredients you can look up to for getting rid of acne troubles. The oil has anti-inflammatory and antiseptic properties that can fight the bacteria that cause acne and inflammation. Simply dab some lavender oil on your acne blemishes using a cotton swab, and see the desired results. Given the obnoxious variety of environmental toxins and other pollutants our skin is exposed to most of the time, it is not surprising to know that our skin’s health is deteriorating with each passing day. But we have lavender to the rescue – it contains powerful antioxidants that can fight against the harmful effects of pollutants on the skin. In one study conducted by the Howard University College of Medicine, Washington, DC, it was found that lavender oil was one of the few potent essential oils that can inhibit the growth of skin bacteria. Just add a few drops of lavender oil to the burnt area after keeping it under running water for about 10 minutes. Doing so can accelerate the healing process. However, keep in mind that you must consult a doctor immediately in the case of serious burns. We know how tired our muscles can get after a long day at work and we also know how heavenly a good massage can feel at that point of time. This is where lavender oil comes around as something you shouldn’t ignore. Ideally you can prepare a lavender bath by adding 4 to 6 drops of the oil to a large bowl of warm water. Soak your hands or feet in this bath for about ten minutes, and feel refreshed and relaxed. Lavender oil has been found to be excellent for treating tired muscles, especially that of the feet and head. You can also rub a little amount of lavender oil to your feet before going to bed – this, apart from soothing your tired feet, can also soften and hydrate any rough spots or patches on your feet. 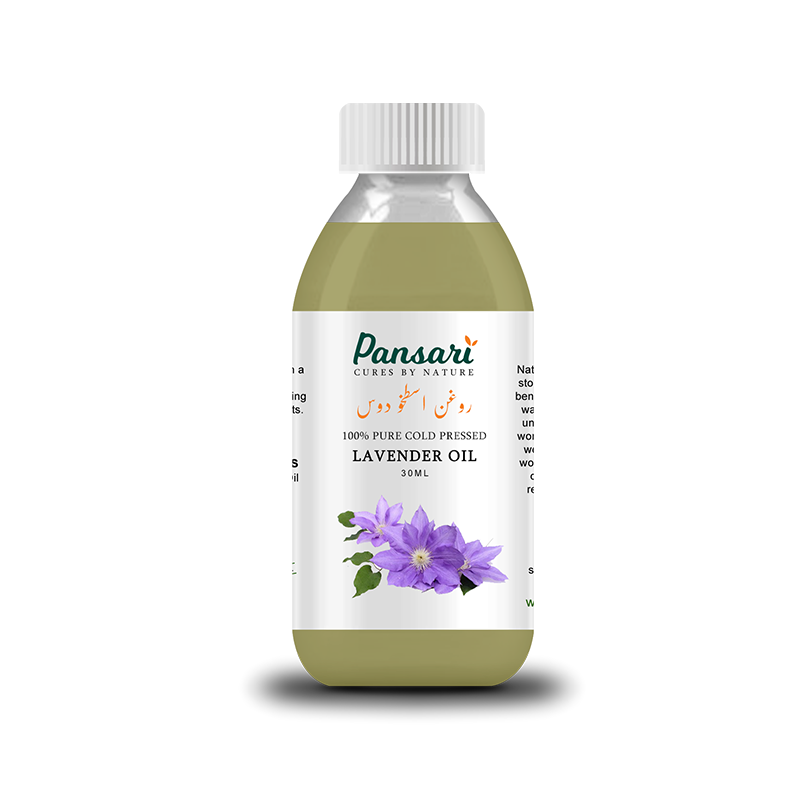 Lavender oil can help you get rid of dry itchy scalp and dandruff. You can mix 15 drops of lavender essential oil with 2 tablespoons of olive or almond oil and heat the mixture for about 10 seconds. Massage your scalp with this warm oil mixture and put on a shower cap. Wash off with a mild shampoo after an hour. Being a powerful antiseptic, lavender oil can relieve your scalp of lice, lice eggs or nits. Massaging your scalp with this oil can kill both the lice and nits. To get rid of head lice, massage your scalp with lavender oil 20 minutes before shampooing. Lavender oil is considered as a traditional medication for promoting sound sleep. In folklore, people often filled their pillows with lavender flowers to sleep peacefully. This herb is beneficial for those suffering from insomnia, restless leg syndrome and exhaustion, as it soothes the nervous system and induces sleep and relaxation. This is because its scent induces alpha waves in the area of the brain that is responsible for relaxation, thus making you fall asleep faster. Lavender tea prepared from dried lavender flowers is also beneficial to soothe your nerves and relax you. Lavender oil is effective in curing anxiety and depression through its calming, sedative, and anti-convulsive effects. It is often used in herbal remedies for promoting relaxation and treating restlessness. Lavender oil has powerful antiseptic properties. Topical application of this oil to wounds, cuts, and scrapes increases cell growth, thereby facilitating quick healing of wounds. Its antimicrobial properties protect the wounds from infection. N.B: This oil is not for internal use. It can be only used externally as massage oil and can benefit you in various ways. Lavender oil has the most beautiful smells out of all essential oils, kind of like a 'mogra'. I am using it as part of an essential oil mixture for my skin and its working great.